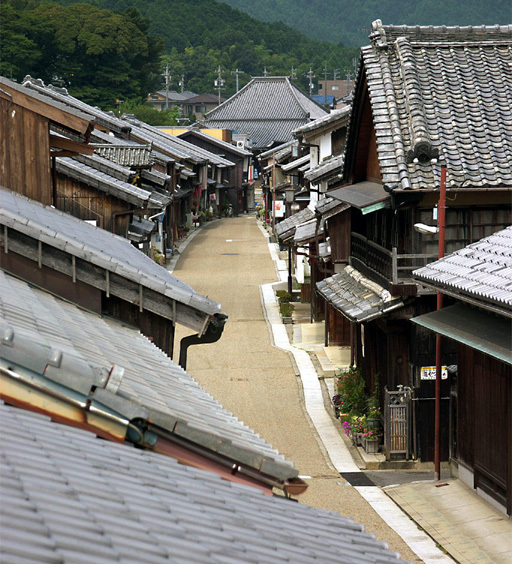 Five Japanese cities are about to embark on a new form of town development that aims to preserve their traditional townscapes. The five are Kameyama (Mie Prefecture), Hikone (Shiga Prefecture), Takayama (Gifu Prefecture), Kanazawa (Ishikawa Prefecture) and Hagi (Yamaguchi Prefecture). The projects result from a new law enforced last November to provide financial and legal support to municipalities’ efforts to preserve historic landscapes in specific quarters. As I am based in the Kansai, the two Kansai projects are of particular interest to me. Kameyama was a castle town which in the early 1600s became the 46th post station on the Tokaido. The Tokaido may be the best known, but it was not the only highway that passed through this town. Two other commonly traveled roads, the Yamato Kaido (connecting Nara and Sakai) and the Isebetsu Kaido (from Sekijuku to Edobashi in Tsu), also lead through Kameyama, making the town an important juncture where the cultures of eastern and western Japan converged. Kameyama plans to facelift a 19.5-km stretch along the old Tokaido highway, centering on the old Kameyama Castle, as a priority area. It includes rows of historic houses in the Sekijuku district (one of the 53 stations on the Tokaido), the Tamon-yagura castle watch-house, and the Suzuka mountain path used by packhorse drivers who sang a famous local song while working. Hikone was located on the Nakasendo, which together with the Tokaido was Japan’s most important trading route during the Edo period (1603-1868). 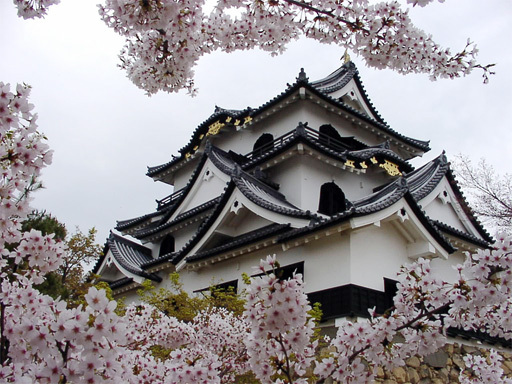 The town is especially famous for its castle, one of the few original Edo period castles remaining in Japan (many others are concrete replicas). A small area south of the castle, called Yumekyobashi has fused modern construction with traditional looks in an attempt to preserve Hakone’s traditional culture. Hikone will designate as a priority area a tract of some 400 ha, including the castle and vicinity, and repair and preserve historic buildings such as the Nagaya Gate of the old Ikeda samurai compound. Town Development Promotion Office, Kameyama City. Phone: 0595-84-5126. City Planning Division, Urban Development & Construction Department, Hikone City. Phone: 0749-22-1411. I have visited Takayama. It’s a lovely place and currently has IMHO a good mixture of traditional streets with a more modern but not ‘neon canyon’ development. I love Takayama, and have been there several times already. When my sister visited, we went there as well. We arrived a bit late and had to leave early the next morning, but we found this great antique shop where my sister found some wonderful chinaware. She bought so much, the owners were quite surprised.